The beginning of the 27th Teuila Festival this year is going to be an unforgettable time for Fu’a and his wife Leleiga Uelese. 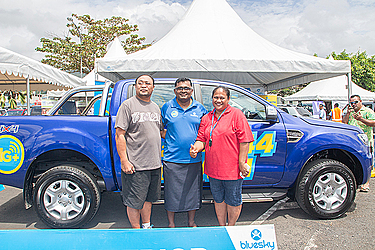 The couple from Vaitele-Uta are today the proud owners of brand new $124,000 2017 Ford Ranger thanks to Bluesky. “Honestly I was really shocked when I received the news a few hours ago,” Mrs. Uelese said. The mother of three said this is a dream come true. “Who would’ve thought that me and my husband would win such an expensive car this time of the year,” she said. “But I thank God for his blessings, I mean this is a dream come true... Teuila celebration for this year is going to be memorable because of this. Police officers Iosua Samia and Lanuola Mulipola were present from start to finish of the live draw held at Bluesky's Maluafou Office. 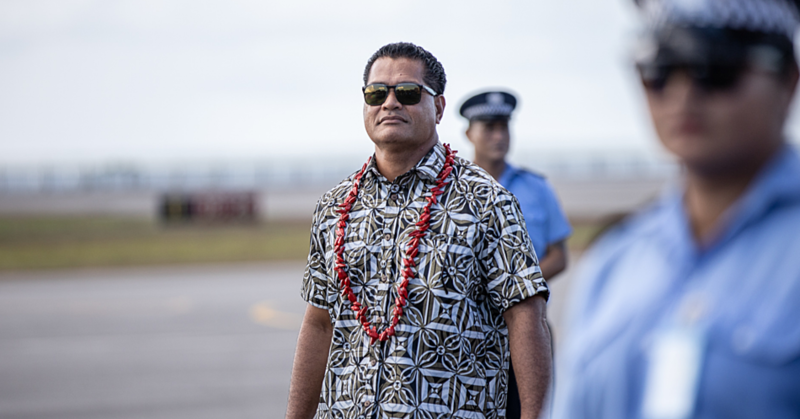 “After a rigorous process of checking eligibility and ensuring all eligible entries were included prior to police witnesses generating the lucky number in random.org, Fu'a Uelese's mobile number (685) 7651 666 came out as the winning number,” a statement from Bluesky said. 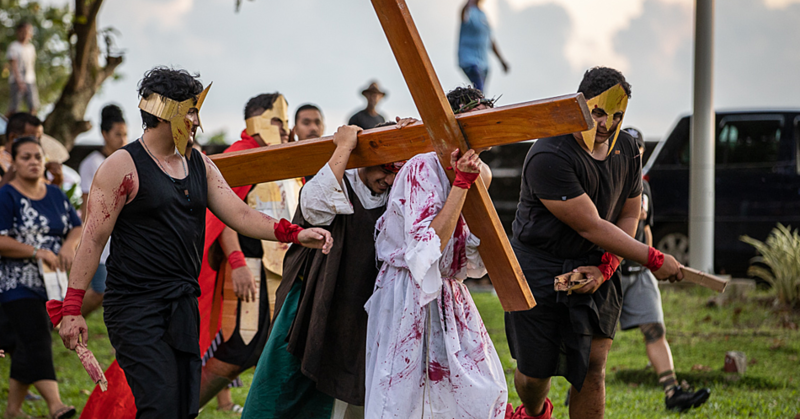 “After all checks and confirmations were made by Bluesky staff to ensure Fu'a met all terms and conditions, a phone call was made with Police as witnesses, direct to Fu'a. “Fu'a later reported to Bluesky that he had no idea who was calling. “An unknown caller ID came up on his mobile phone and all he could think of were his children at school. He picked up the phone to hear a representative from Bluesky on the other end inviting him to their Maluafou office. “Bluesky staff quickly learnt that Fu'a was home alone and his car didn't work due to a part that needed to be fixed and sourced. Bluesky then arranged for Fu'a and his wife to be picked up from their home in Vaitele Uta and brought to the Govt Building location where the live presentation would be held. There was no mention to Fu'a that he was the lucky winner prior to the presentation. With the excitement of Teuila happening in the background, Bluesky Country Manager Alex Abraham proudly thanked customers for their enthusiastic participation in the 52-day-long WIN BIG WITH BLUESKY promotion. Fu'a excitedly explained that his wife Fa'aleleiga was always texting 4444 from his number and so the 2017 Ford Ranger win comes just in time for her 44th birthday this coming Sunday 10th September. “The 2017 Ford Ranger comes as a welcome relief to Fu'a's family as their family car has broken down and been out of use for the last two weeks and the part needed isn't ready. Fu'a and Fa'aleleiga have 3 children. “Their oldest son is aged 19 years and second oldest son is 14 years of age. Their youngest girl is 11. Fu'a explains that the car is perfect for he and his family and it will be used for school runs, work and of course church. His wife Fa'aleleiga works with Ah Liki Wholesale and as the breadwinner for her family expresses that this was such a blessing for their family. 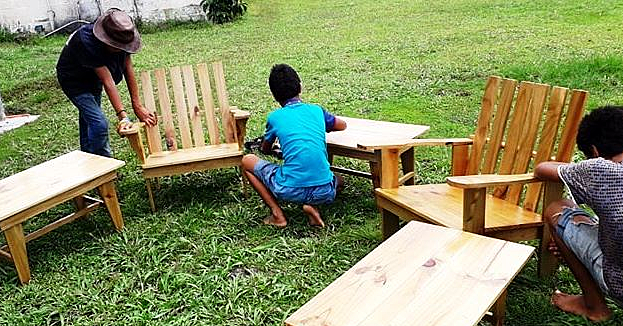 Country Manager Alex Abraham said, "We're excited we can give back to our customers. This is one way our customers can enjoy BIG benefits just for being with Bluesky. We're always looking for ways to WOW our customers and this has been one of our biggest promotions this year."